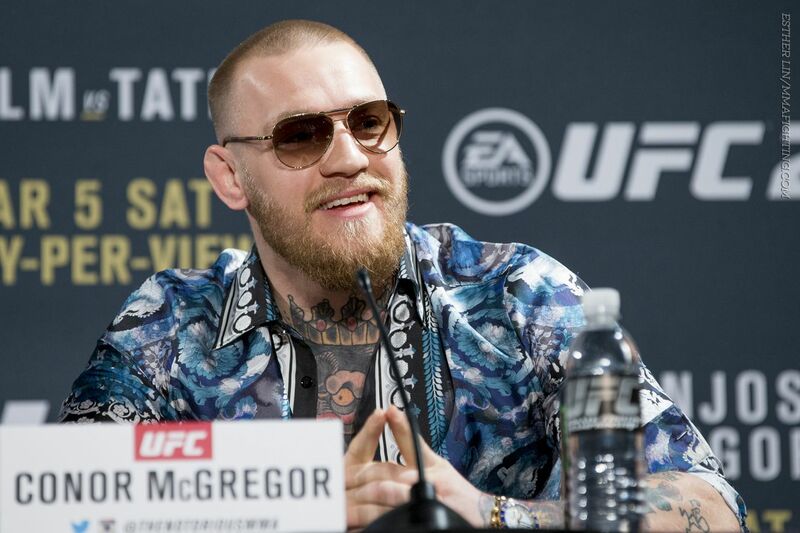 Conor McGregor managed to make himself the center of attention once again this week, as the UFC featherweight champion’s antics at Wednesday’s UFC 197 press conference drowned out just about everything else. So we’ll talk about McGregor, reaction to Tony Ferguson vs. Michael Johnson, and a whole lot more an an all-new edition of Fightweets. @ClarusDignus: If McGregor holds three belts (including welterweight) simultaneously, will reality invert and implode? @JOB_AFC: Can Conor seriously fight at 170? When McGregor prattled on Wednesday about the notion of going up and fighting at 170 pounds after presumably defeating Rafael dos Anjos at UFC 197, I actually found myself thinking about Ronda Rousey. Specifically, some of the statements that either Rousey herself made or were said about her in the weeks and months leading up to UFC 193. Like, the one about how she was going to outbox Holly Holm, a former three-weight-class world boxing champion. Or all that earsplitting noise about how she would win a fight with Floyd Mayweather. Or Joe Rogan’s “once in a lifetime doesn’t apply to Ronda Rousey, it’s once ever in human history” pitch, the most overwrought promotional line in the history of the UFC. Then Holm went out and picked Rousey apart. And boy, did that make the hype leading up to UFC 193, things people discussed with a straight face, look silly in hindsight.